A loft is an area in our houses that we leave for storing unimportant things, maybe, in many homes. However, we can convert the unused space into an office, library, gym, reading area, bedroom, bathroom, guest suite, including other functions. If a family chooses to convert the room, it can save a lot of money they could use when moving to a new home. 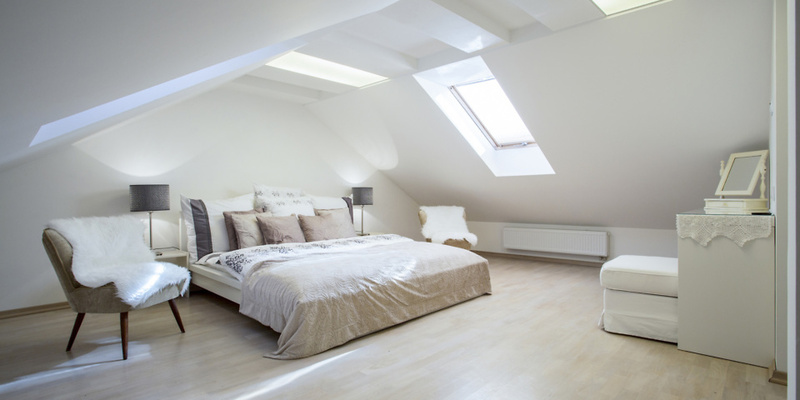 Today, we will highlight critical tips that you need to convert your unused loft into a space that everybody admires. Of course, we all know that that is your property. You will even provide a title deed if you want to prove that you own the property. However, you need to understand that the government has specific regulations regarding loft conversion. If you need to lift the roof, you will have to call in a surveyor so that they can give you a certificate of permission. Additionally, talk to your neighbors if the extension room will have to invade their space. Note that if you do not want to change anything on the exterior, like adding a veranda or lifting the roof, then you do not need any permission. Before you start building, think about the purpose of converting the chamber. The loft should adapt to the design that you want finally. For instance, a bathroom design will take a different configuration from that of a bedroom or home office. An excellent way to start your design is to call in an architect. His professionalism allows him to see things differently than you do. He will also help you come up with a quotation for the whole project. Note that it would cost more when you need to lift the roof. Low roofs require you to lift them a little bit to create headspace. The standard height is usually at 2.3 meters. Any roof less than that height should be raised. Ensure that all the conversions meet all the regulations put by the local authorities. On the other hand, as you create additional room, try to save space as well. Consider the type of staircase that lead to the chamber. Experts say that a narrow spiral staircase will save more space than wider ones. If you have wide stairs, then think of how you can adopt the narrower and spiral ones. Most people think that going solo on such a project is cheaper. Nevertheless, have you ever heard the saying, “cheap is expensive”? If you are less knowledgeable about that area, then it is apparent that you might build something that will collapse on you or your guests. Therefore, know how much that would cost when you hire a professional contractor. Each contracting firm charges differently, and they will provide their quotations after they see the full design of the loft. Know that the project can be expensive, but it will also depend on two things: its size and the type of furniture that the room requires. Well, as mentioned earlier, most people move out of their homes because they could not find extra space to store things, space for additional guests, or a new baby. Well, statistics conclude that if you convert your loft, then there are high chances that the property’s value will go higher. Also, people who convert their loft and get their design correctly, high chances are that they will be able to cut on energy bills. The authorities will expect you to install specific insulations as you build. For example, cold roof insulation, adds ventilation to the room and warm roof insulation keeps a dormer wall warm.